It is a long time ago when Chantal and I did the scenes with Inge Snijders and Peter Nuninga in the woods. I remember that the auditions were even months before that. 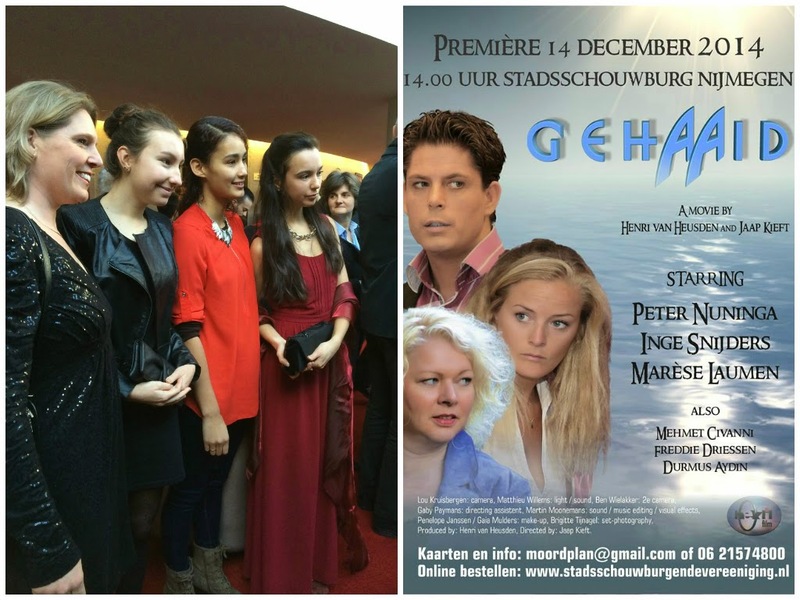 After the audition, three years went by and this year we were invited to the red carpet on the premiere in Nijmegen, The Netherlands. I was so happy to see Chantal again! We were so busy this summer and fall. As always we had these crazy and lovely moments. It was amazing. First thing of the evening was meeting all the actors at the meeting point. It's quite odd to meet almost all the actors you play in the same movie with at the day of the premiere. I even saw and spoke a few people again who I have seen at the auditions. After Chantal had two nice sips of her tea, we all went to the bus. Even though the theater was on the other side of the roundabout, we still had to take the bus. Which I think was good of course. Once we hopped off, people began to clap and scream. It felt amazing. I love how everyone appreciate the work we all have done. I'd like to thank everyone for this amazing event! The filmcrew, the fans, the families and yes, also the press. Here is a video of the actors on the red carpet. Soon I will post a photobook of the premiere on www.ginatha.com, so stay with us!